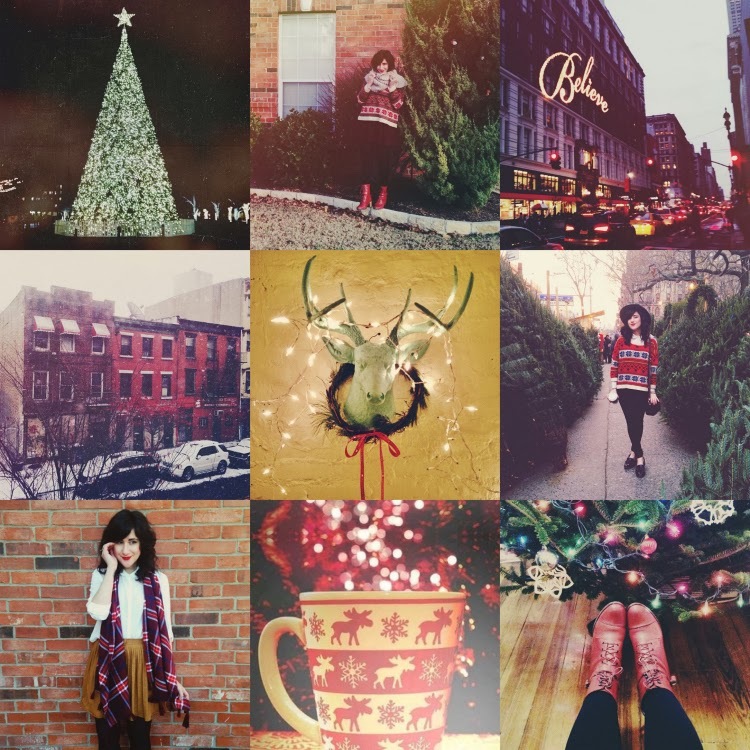 Flashes of Style: Merry Christmas,Happy Holidays! Merry Christmas and Happy Holidays, everyone! I am going to make this post short and sweet because I am currently spending time with family and friends... however I just had to take a moment to share how thankful I am for all the wonderful things that have happened this year. And I especially wanted to thank each and every one of you for your support. I couldn't ask for a better gift! Beautiful montage Bonnie, your photos always seem so nostalgic. Hope you're having a wonderful time celebrating! Such pretty photos! :) Merry Christmas and a happy new year! P.S. : We've hot the same shoes! High five! Happy Christmas Love! Hope it is as wonderful as you! Obsessed with that reindeer mug. Merry Christmas to you!! I'm so glad I found your blog; your pictures are so adorable! Hope you had a wonderful Christmas! Great post! Merry Christmas to you as well! I hope it was lovely! Très joli blog ! Joyeux noël et premier de l'an ! Hello there! I was just curious as on the seychelles shoes website they list you as the blogger for Dec. 26th participating in their giveaway, but I don't see a post from that date or about it. Did they have you listed under the incorrect date? That scarf and lipstick combo look so great with your complexion and hair. Happy New Year!